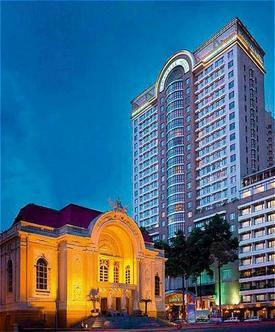 An award-winning, leading international 5-star hotel perfectly located in the vibrant heart of the city. This 1950's colonial icon offers 335 spacious rooms, five outstanding restaurants/bars and its famous roof-top Saigon Saigon Bar. Renowned for its high, personalized standard of service. Located in the City, Railway Station Saigon Railway Station 2 km, Exhibition Site Ho Chi Minh City International Exhibition & Convention Center 12 km, Unilever Bestfoods Vietnam Ltd 0.5 km, Opera House 0.0 km, City People's Committee 0.0 km, Ben Thanh Market 0.1 km.